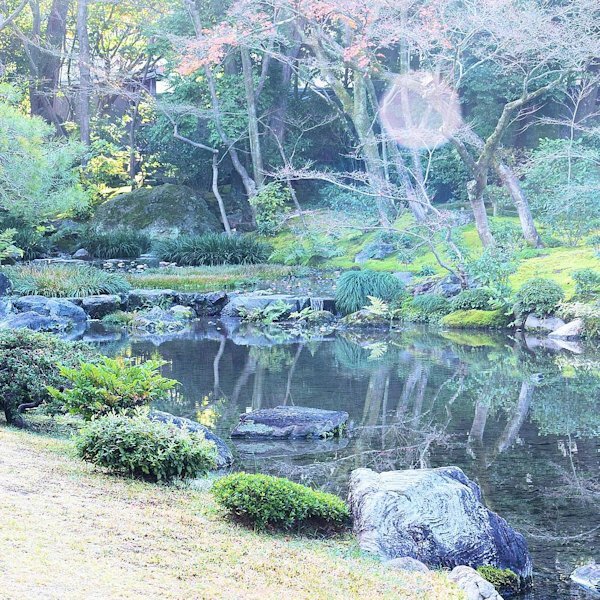 In the morning, Murin-an is covered in a mist that makes for a wholly wintery scene. 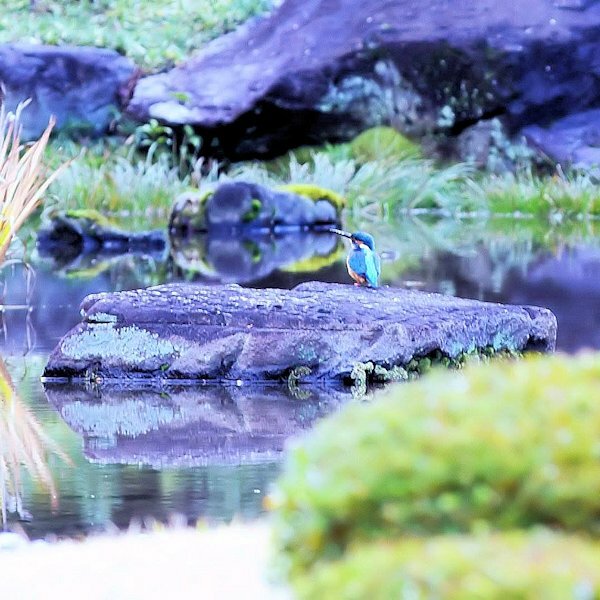 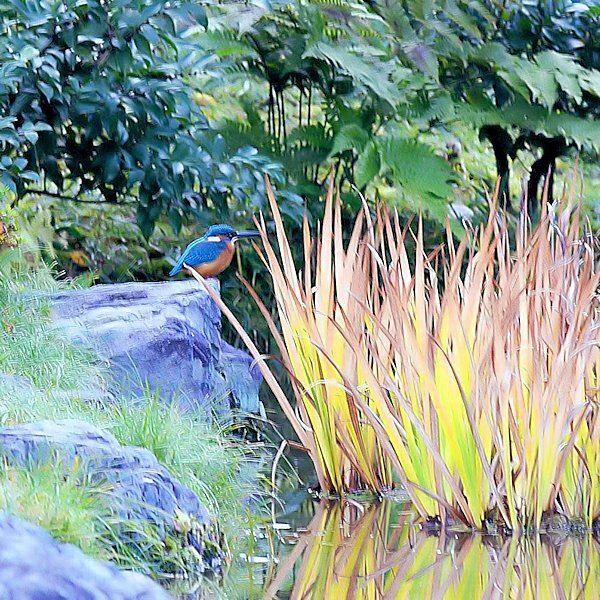 That green bird we see shining amid the scenery is a kingfisher. 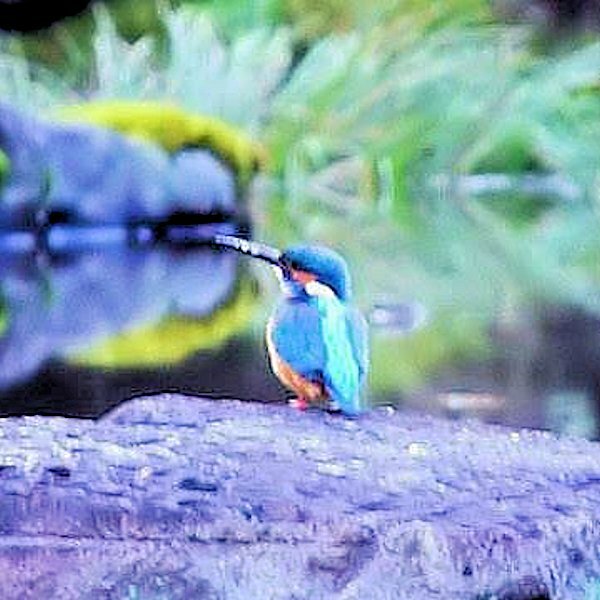 We approached the bird as slowly as possible and then let our shutter fly.